My name is Daniel and I am the lead trader behind Day Finance Ltd. I am an experienced investment professional and have advised clients from all over the world. 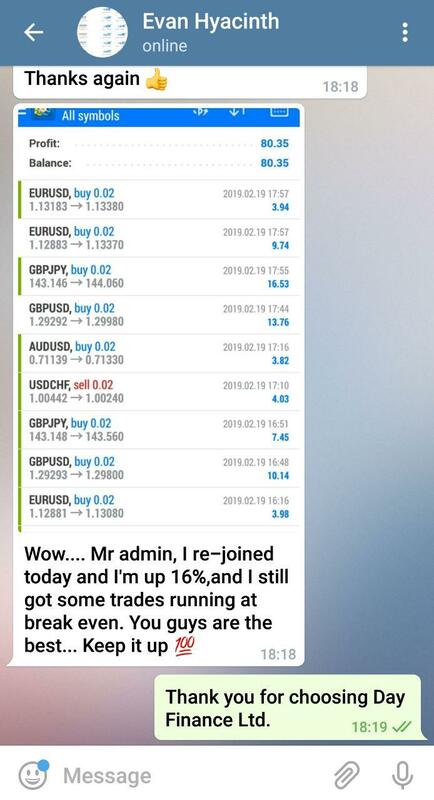 I now want to make the trades taken on my own account available to a new set of investors who want to succeed in the Forex market. This is a unique opportunity to join a professional trader and follow the analysis taken on my own fund. Our high performance Forex services are rated five stars on many investing websites. Here at Day Finance Ltd, we want to make Forex trading easy for our members. 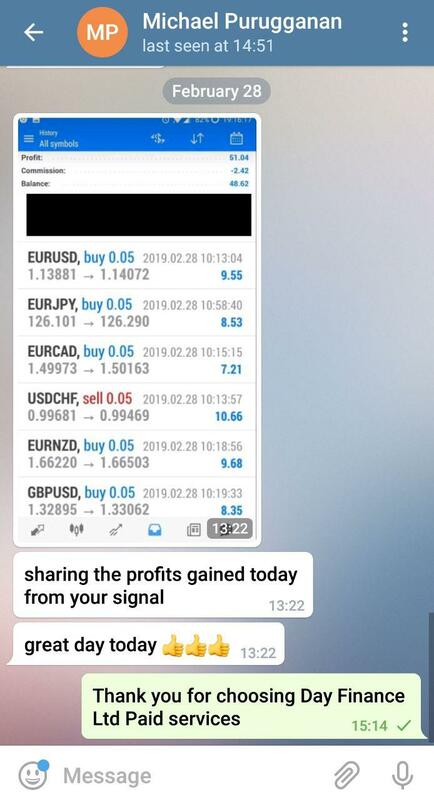 We do all the complex analytics that successful Forex trading requires and whenever a trade is taken on our fund we instantly send you our signal in Telegram App with all the important details. We include entry price, stop loss and take profit level, so you can be sure that you can follow exactly what we’re doing. We work in the name of saving your personal free time. 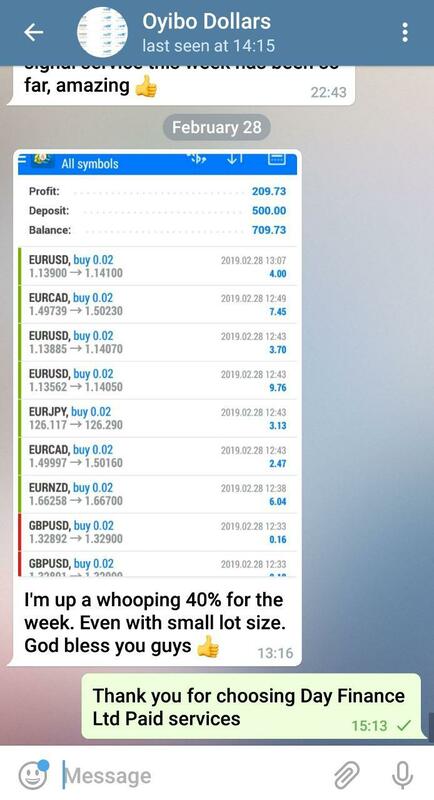 It is one of the main reasons why Forex is as profitable as it actuall does. We choose to work with Telegram, as well. The platform allows our costumers receiving all the trade information they want to – easily, quickly, everytime, everyday & everywhere! We have created a safe environment where our customers have the ability to trade with no doubts. SSL certificates create a foundation of trust by establishing a secure connection. All of the browsers give visual cues, such as a lock icon or a green bar, and help visitors realize whether their connection is secure. This service, as with all of our services, is an integral part of your financial investment strategy. Our team has the extensive knowledge and experience you need when planning for your trading success. We are here to help you. Get in touch and find out how we can tailor our approach to meet your Financial Advising needs. 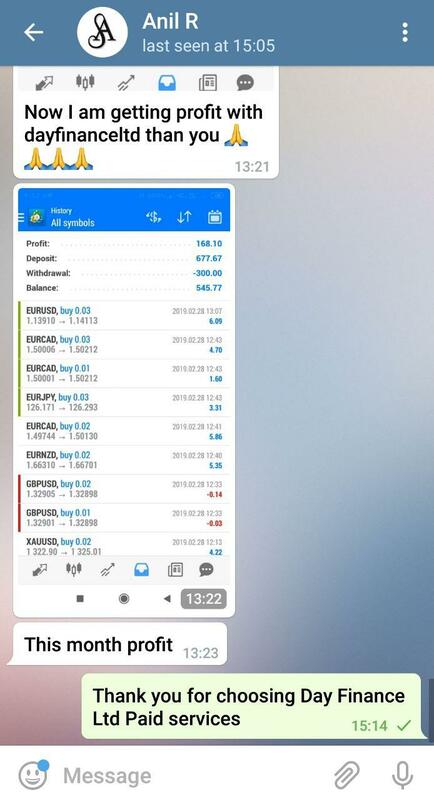 FMS is simple but powerfull trading system that helps you track, analyse and understand the strength of the market so you could make good decisions when to enter a trade. You will trade side by side with our team of proffesional Forex traders. 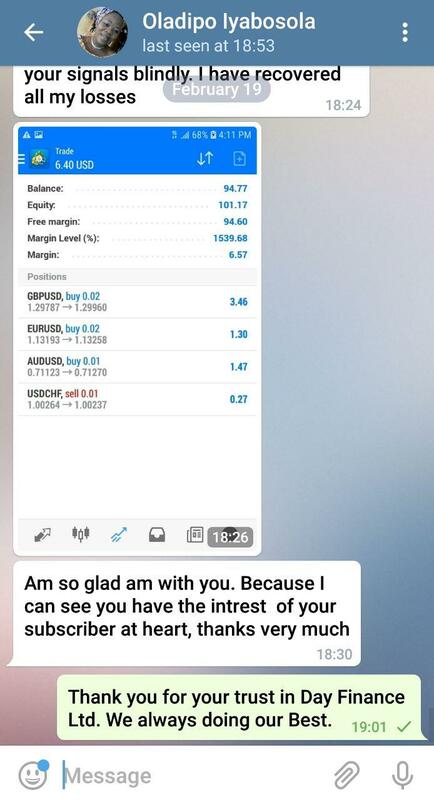 We use Telegram App to send Live FOREX analysis to our clients. We provide both FOREX and Gold analysis to satisfy clients both with large and small accounts. We give multiple Target Points so everyone can decide when to take the profit. FMS find the strength of the markets long before the rest of the traders. 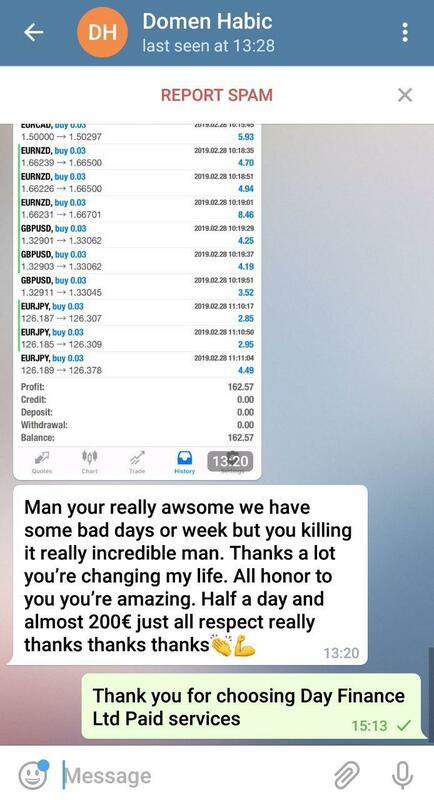 We will advice you how much to invest into each trade and when to take the profit. Here at Day Finance Ltd, we want to make Forex trading easy for our members.